I have had some happy mail recently, some necessary or just because and a couple of nice surprises! 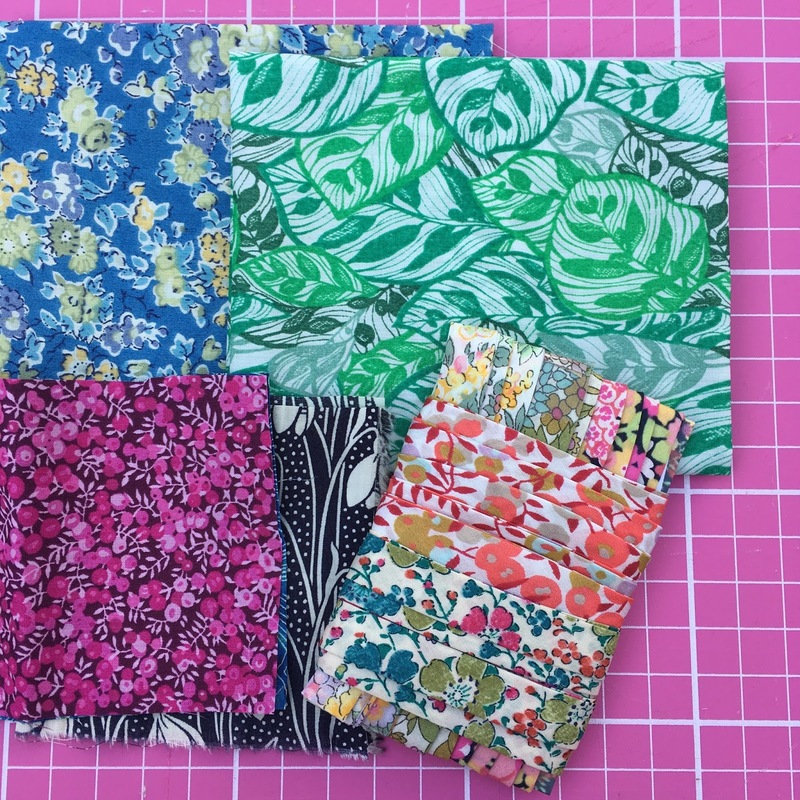 First up I needed to get some more Liberty bias tape for my Green Tea and Sweet Beans quilt borders from The Weaver's Mill. The top two prints just fell into the basket. Next Spoonflower had their buy one, get one free fat quarter deal - so I did, twice. I really enjoy searching through all the designs, there are so many great artists/graphic designers/print makers. It's like pinterest to me, very inspiring! While browsing I came across Sally Harmon, boris_thumbkin, Sally's designs are really cool, very graphic style with interesting colours and shapes. I was especially taken by how different cultures and styles find their way into her designs. I was feeling the retro vibe in the prints I chose by her and I have an idea of what I will be using them for. In contrast is a grid paper print by Lorrie Cranor, lorrietweet, which I got just because it's simple and awesome. 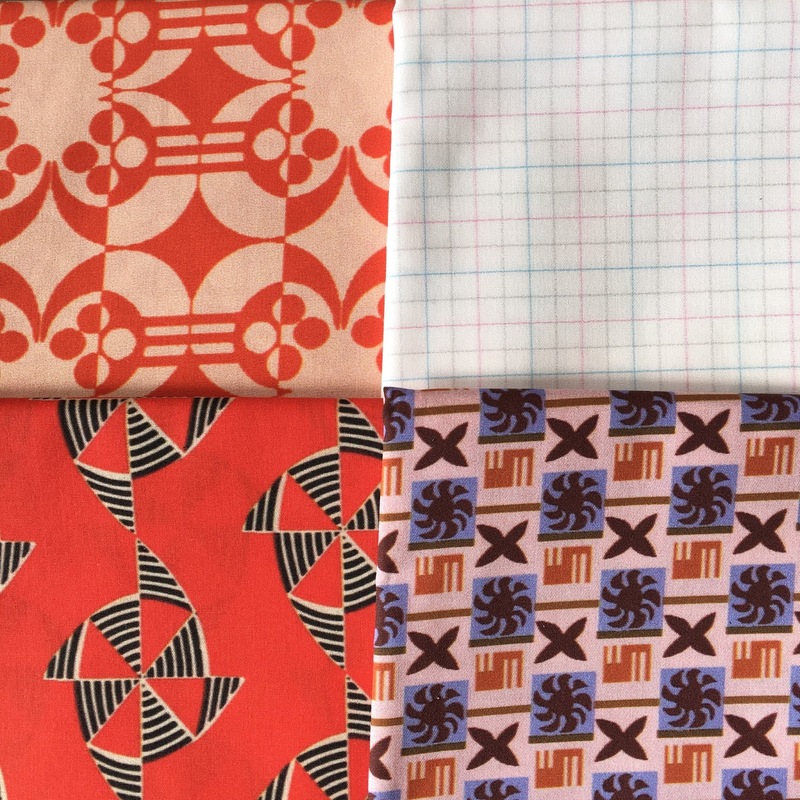 clockwise from top left: Peach Deco Motosu Moon Flower Stripe by boris_thumbkin; quarter-inch-grid by lorrietweet; Baby Checkerboard by boris_thumbkin and Ukrainian Pinwheels by boris_thumbkin. I usually buy on Kona Cotton but this time I went for the poplin. Other people have seemed to like it so I will see how it washes and compare. It does feel lovely, though it still has that printed stiffness. I will let you know how I get on with it. 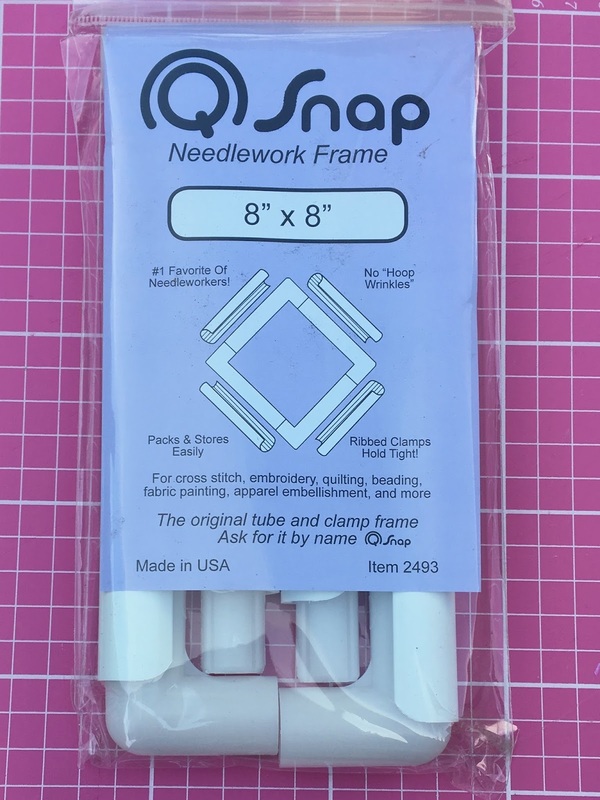 After trying a Q-Snap frame at the retreat - thanks Hannah! - I had to get one. It's so simple to use, collapses down and is really comfortable too. How amazing is this?! 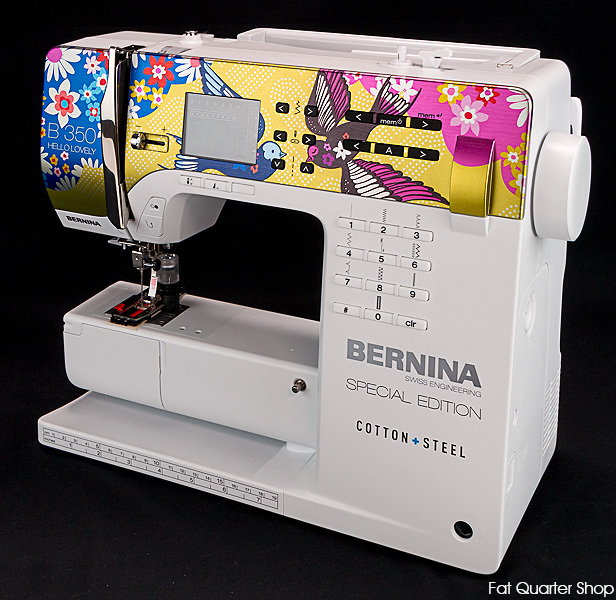 Fat Quarter Shop are giving away a totally gorgeous "Hello Lovely" Cotton + Steel Bernina 350 SE. 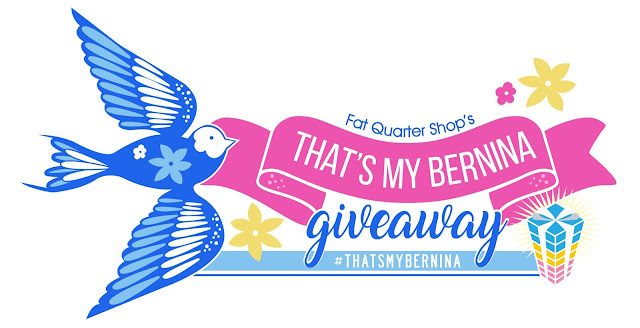 For full details and to enter to win CLICK HERE. Open internationally, ends July 25, 2017 at midnight CST. isn't that some sewing machine? 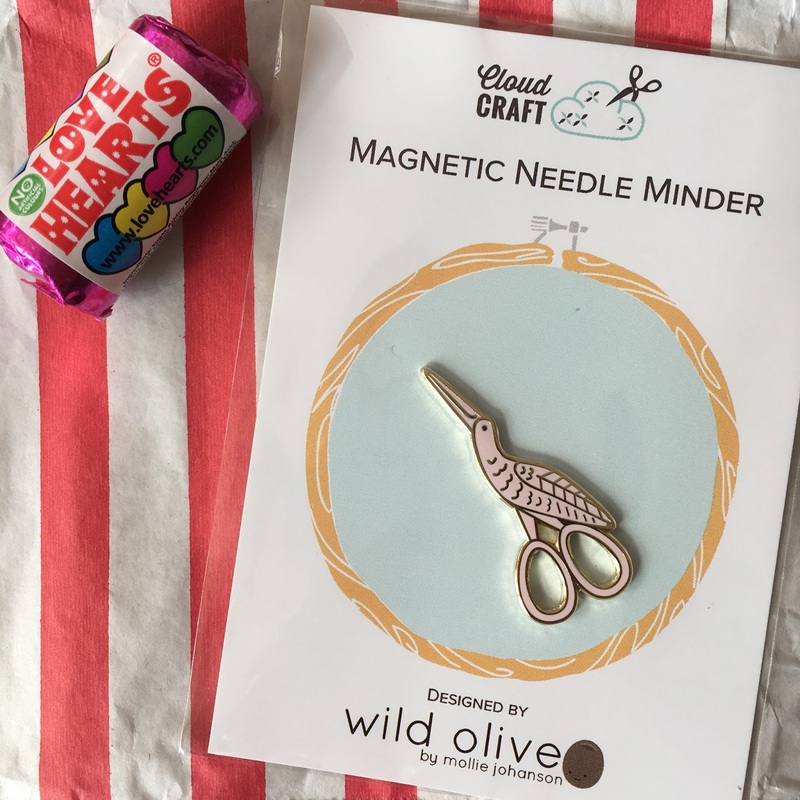 nothing can beet happy mail, the needle minder is so sweet! you certainly had a good spend funny isn`t it how fabric seems to fall into our baskets! Will be interesting to see how you get on with poplin, when I first started quilting I bought it being a lot cheaper but somehow do not like it as much as quilting cotton, very unforgiving if you need to stretch it a bit to fit and not sure I like the stiffness of it but using it up slowly from the stash. I love the plastic frames up buy the English one made by R & R enterprises works beautifully for both hand quilting and embroidery, was telling Hannah not quirky but crafty who was on the retreat about them as she wants me to show her how to embroider and I said it as the best one to get. sorry I see, to have prttled!! !